As the best oven heating elements suppliers, Chhaperia stands out of the box with its innovative solutions happening in the core. Never going off-the-track, we stick to our core values. Depending on the number of clients turned in and the ratings they gave, the company’s fame has increased exponentially, and we remained unbeatable when it comes to receiving ratings from the clients. However, from industry to industry, oven heating elements vary. According to industrial, scientific, and artisanal uses, the design perspective of oven heating elements differ. Owing to the dedication of our diligent professionals, we have earned a reputed name in manufacturing and supplying the finest quality assortment of Oven Heating Element. Our Heating Elements are used for converting electricity to heat; these elements are highly praised in the market for their different quality attributes. we offer these devices in various dimensions and technical specifications, like High functional efficiency,Energy efficient, Durable etc under the guidance of our adroit professionals. Moreover, these elements are available in diversified sizes, designs, and specifications. Apart from this, our quality experts test these elements on varied parameters of quality in order to offer zero defect products at users’ end. We offer these elements to our clients at industry leading prices. 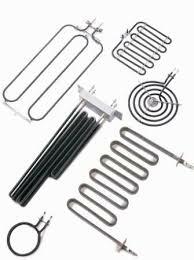 Oven heating element is used to heat air, water, or liquids. Designed and customized tubular heating elements are available for domestic purposes. Have high resistance hence substance heating happens faster. Lower losses and ensures higher efficiency. The sealing technology used safeguards the heating elements from undergoing short circuits. Explore what you need from Chhaperia, and we also design customized heating elements for your requirement. Tagged as prominent oven heating elements suppliers, our services have hit the mark in the hearts of industries we serve.